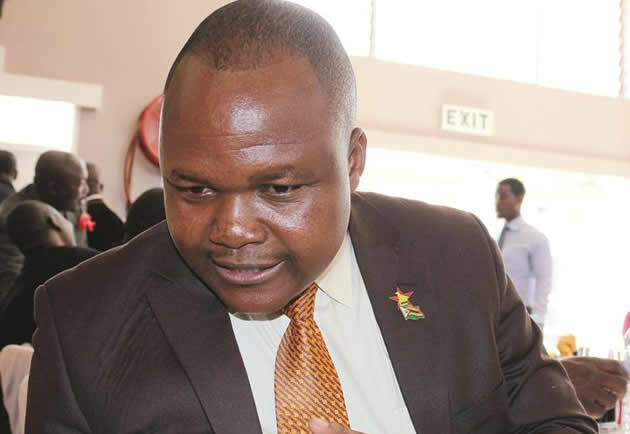 THE High Court yesterday issued a warrant of arrest for former Higher and Tertiary Education deputy minister Godfrey Gandawa, who is facing allegations of swindling the Zimbabwe Manpower Development Fund (Zimdef) of $400 000, failed to turn up for the trial. Gandawa's lawyer Advocate Bernard Chidziva told Justice Tawanda Chitapi that he did not know where his client was. He said Gandawa, who was on $500 bail, did not even communicate with him with a view to make arrangements to appear in court although he knew he was supposed to stand trial. From the Prosecutor-General's Office, Clemence Chimbari then applied for a warrant of arrest. After Gandawa's name was called three times without response, Justice Chitapi had no option, but to order his arrest. Initially, Gandawa was jointly charged with former Higher and Tertiary Education minister Jonathan Moyo, but the trial was separated after Moyo skipped the country. Moyo also faces arrest over the same case. Gandawa was supposed to have stood trial on charges of criminal abuse of office, fraud, corruptly concealing a personal interest from a principal and obstructing the course of justice. His co-accused, Moyo's personal assistant, Shepard Honzeri and Zimdef principal director of finance, Nicholas Mapute, attended the court hearing, but their trial was postponed to November 30, 2018 to facilitate another separation of trial. The State alleges that Moyo and his accomplices committed several offences at the same time and place between November and December 2015. Gandawa is alleged to have failed and/or neglected to ensure that the National Manpower Advisory Council was appointed to advise the Zimdef trustees' on the use of the government's fund. The State argues that Moyo was equally to blame because as a Zimdef trustee, he was also mandated to issue directives pertaining to the use of the funds on the advice of the National Manpower Advisory Council. However, on being appointed a minister, Moyo is said to have failed and/or neglected to appoint members of the council as required by law. During the trial, the State is expected to lead evidence from 18 witnesses and to produce at least 19 copies of documentary evidence. The State alleges that Gandawa single-handedly recommended and approved the memorandum on the same day leading to the release of $95 000, which was later paid to Wisebone Trading (Pvt) Ltd, owned by Walter Chasara, who is Gandawa's uncle. Gandawa is alleged to have then instructed Chasara to transfer the $95 000 into his firm called Fuzzy Technologies (Pvt) Ltd, where he later made withdrawals.